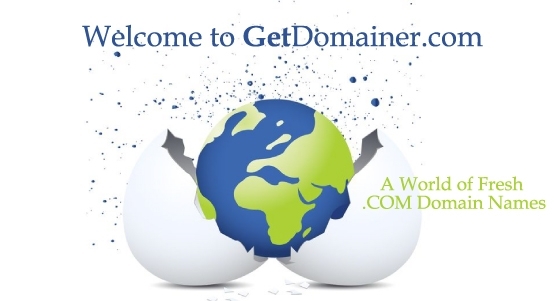 Welcome to Get Domainer where you can get the best domain names for your new project. You’ll notice on this site that all of our domains can be used across multiple industries and for just about any product. You can think of these Brandable Domain Names as an empty canvas or raw clay ready to be molded into just about any shape and size. These domain names are just waiting for you to do something great with them. These domain names are well positioned to grow and expand with your business. Because they have no specific meaning, you’ll never be pinned down to one specific product when you’re looking to expand and you’ll never be pinned down to any specific city or even country. To learn more about these brandable domain names please, Click Here. Then get going and get a domain name for your new project! Most people don’t realize how many three and/or four-letter abbreviations or acronyms surround them each and every day. Don’t believe me? Off the top of our head, think of airports like SFO, JFK, LAX. These airports have now expanded outside the physical airport with their call letters onto merchandise, and recently making the jump to TV programs. Do you think these airport codes would make for a great domain name? How about all those social media acronyms like, TTYL or YOYO (Talk To You Later and You’re On Your Own). We’re seeing those letters on clothes, even pillows and blankets lately. A three or four letter domain name may be a great way for your next company or venture to go. Check out the 3 and 4 letter domain names for sale we’ve got for sale! All of the domain names on this site are what we call “Brandable” domain names. Brandable domain names are names that have no “real” meaning and they are ready for you to make something out of them. You can almost think of Brandable domain names are like a block of clay, they’re ready for you to mold them into whatever you need. They have no meaning so they can work across a multitude of industries and they’ll work for a multitude of products. You just have to shape them into what you need them to be. These brandable domain names even work across countries, so if you’re looking to expand in the future these names work just about anywhere! Check out our blog where we show you all the reasons why we love Brandable domain names. We are also always interested in what you have to think and for that feel free to use the comment section below any of our blogs to ask us questions or make any comment about this site, about getting a brandable domain name or any other relevant comment you want to ask, let us know, post it below.